Even on the calmest days, Earth’s oceans are constantly on the move. 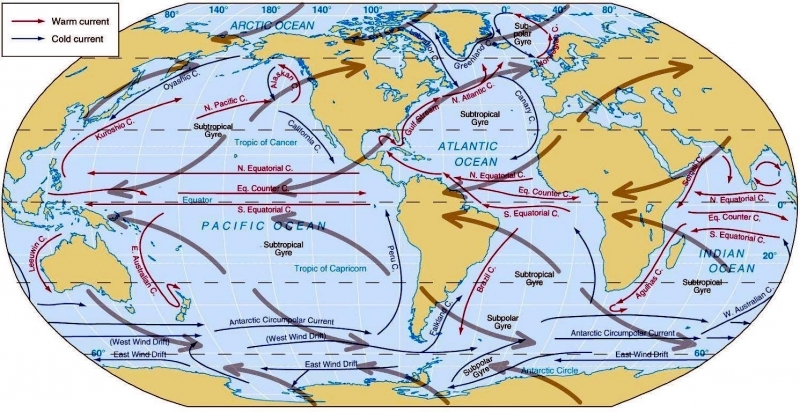 At the surface and beneath, Currents, Gyres & Eddies play a crucial role in physically shaping the coasts and ocean bottom; in transporting and mixing energy, chemicals and other materials within & among ocean basins and in sustaining countless plants & animals that rely on the oceans for life including humans. 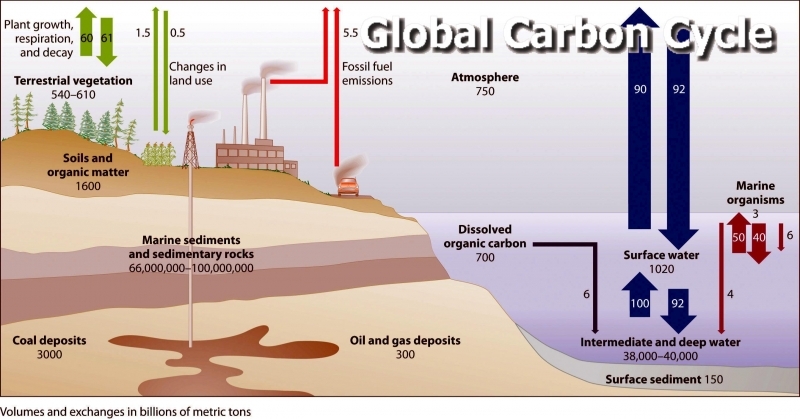 These features are important components of Earth’s global ocean circulation that move water mainly horizontally. Their effects can also extend down for miles, in some places reaching the ocean bottom. 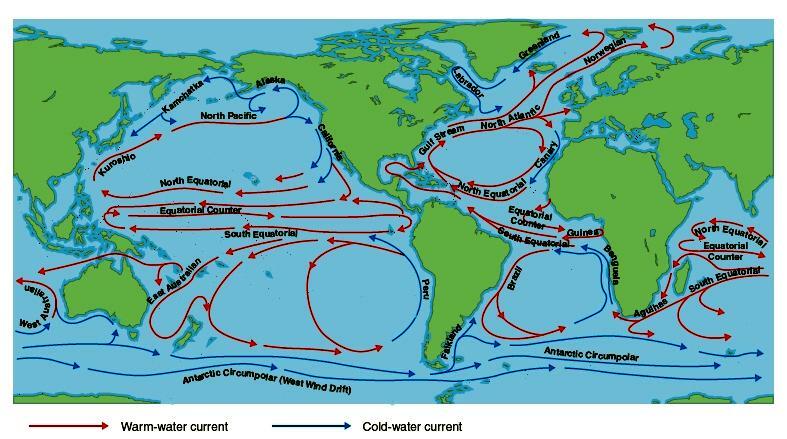 Currents are coherent streams of water moving through the ocean and include both long, permanent features such as the Gulf Stream, as well as smaller, episodic flows in both coastal waters and the open ocean. 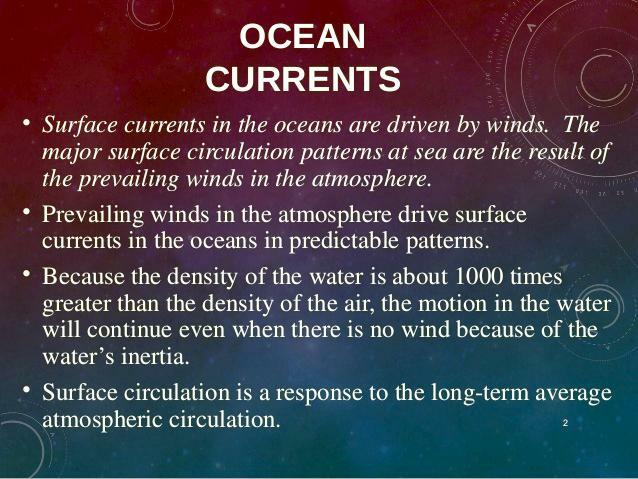 They are formed primarily by wind blowing across the surface of the ocean and by differences in the temperature, density and pressure of water and are steered by Earth’s rotation as well as the location of the continents and topography of the ocean bottom. 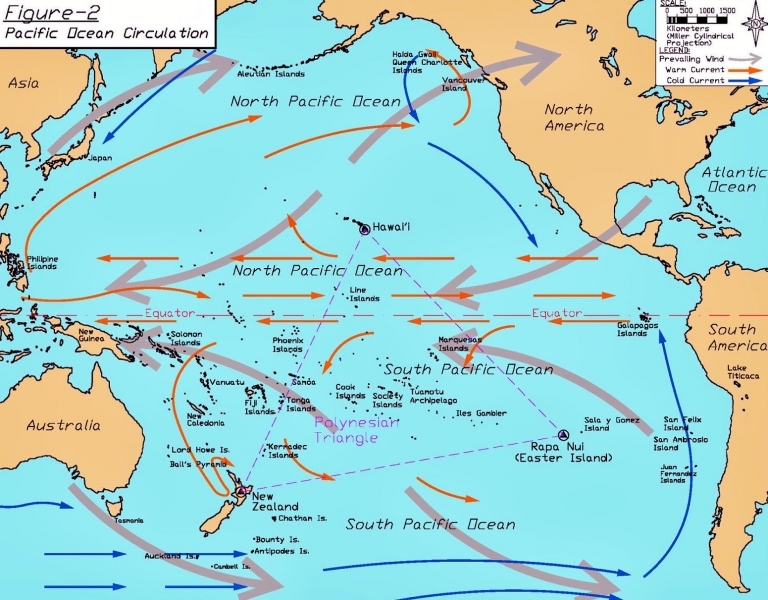 Gyres are spiraling circulations thousands of miles in diameter and rimmed by large, permanent ocean currents. Eddies are smaller, temporary loops of swirling water that can travel long distances before dissipating. Wind is the primary force that creates and moves surface currents; Earth’s rotation plays an important role in steering the water’s motion. Persistent subtropical high pressure systems centered at about 30 degrees north and south latitude create patterns of strong winds known as the trades and the westerlies. Friction between the air and the water sets the sea surface in motion. As this topmost layer of water moves, it pulls on the water directly beneath it, which in turn pulls on the layer of water beneath that to create the beginnings of an ocean current. The resulting motion is not in line with the wind however. Earth’s rotation causes an apparent force known as the Coriolis effect to deflect straight-line movement across the surface about 45 degrees to the right in the Northern Hemisphere and 45 degrees to the left in the Southern Hemisphere. In addition, each successive layer of water is slightly deflected from the motion of the one above, like a deck of cards fanned out. This forms a phenomenon called an Ekman spiral that was first described by Swedish mathematician Vagn Walfrid Ekman in 1905, but it was not until the late 1980’s that a team from WHOI first observed it in the open ocean. 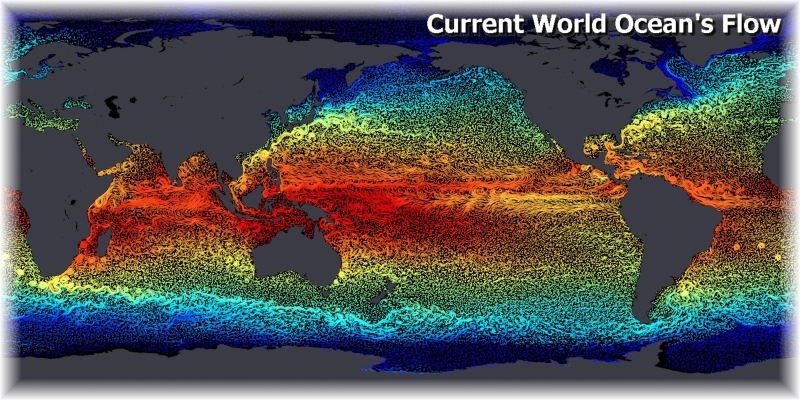 The net wind-driven movement of water known as Ekman transport, creates a bulge in each ocean basin that is as much as 3 feet (1 meter) higher than mean global sea level. The force of gravity pulling on this large mass of water creates a pressure gradient similar to that in an atmospheric high pressure system which in turn leads to a stable, rotating mass of water. 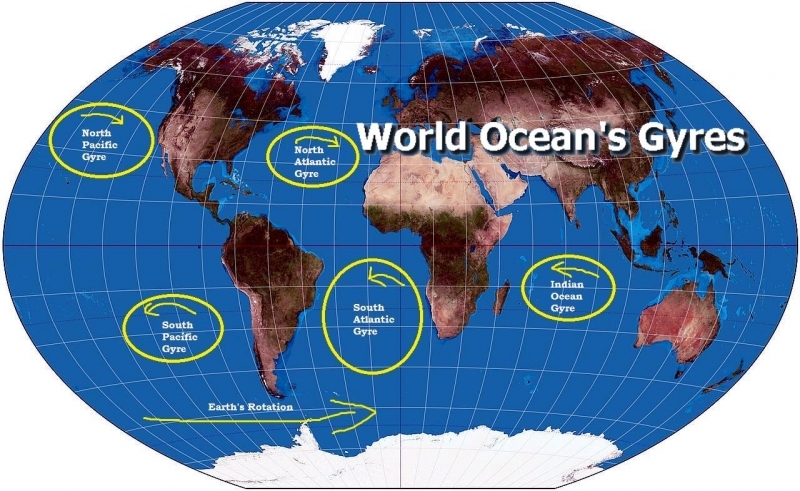 Five permanent subtropical gyres can be found in the major ocean basins, two each in the Atlantic & Pacific Oceans and one in the Indian Ocean turning clockwise in the Northern Hemisphere and counterclockwise in the Southern Hemisphere. Smaller counterclockwise gyres centered at around 60 degrees north latitude are created by the prevailing winds around permanent sub-Arctic low-pressure systems. Another sub-polar gyre the only one centered on a landmass, circles Antarctica driven by the near-constant westerly winds that blow over the Southern Ocean unimpeded by land. 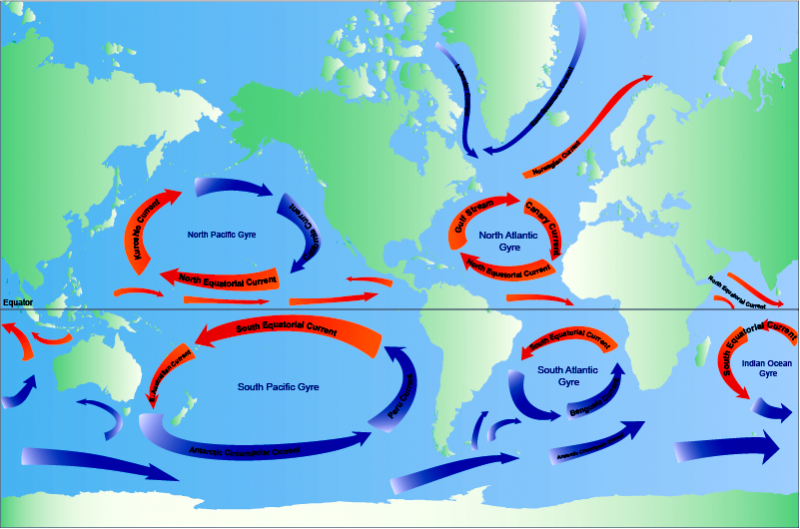 The subtropical gyres are surrounded by four linked currents: two boundary currents oriented roughly north-south at their eastern and western edges and two east-west currents at the northern and southern extent of the gyre. 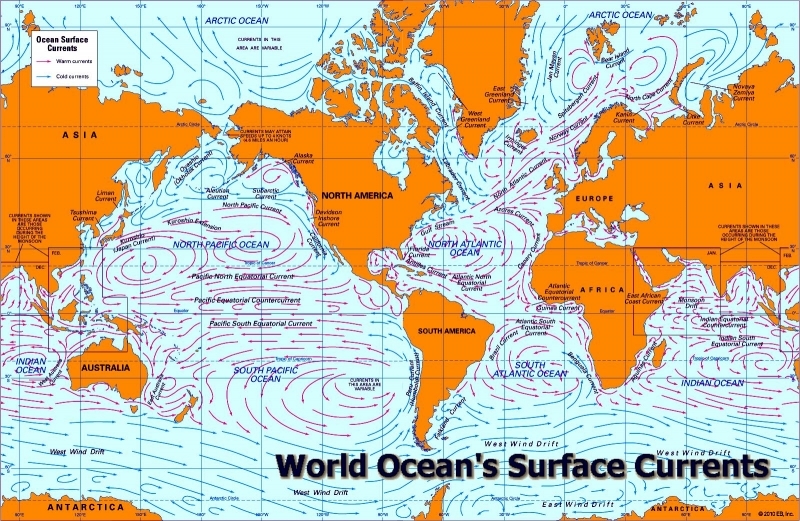 The placement of the Earth’s landmasses and the rotation of the planet cause the boundary currents to be narrowest and deepest on the western edge of the subtropical gyres. 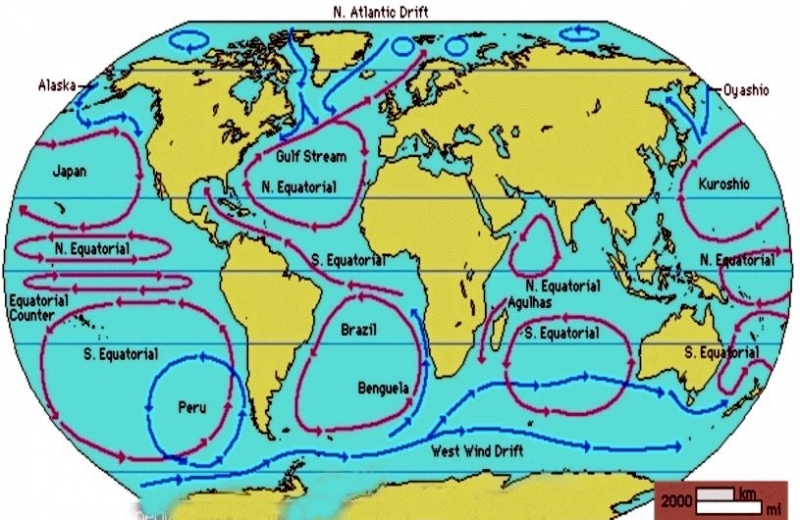 Western boundary currents are also among the fastest non-tidal ocean currents on Earth, reaching speeds of more than 5 mph (2.5 meters per second) and containing as much as 100 times the combined flow of the world’s rivers. 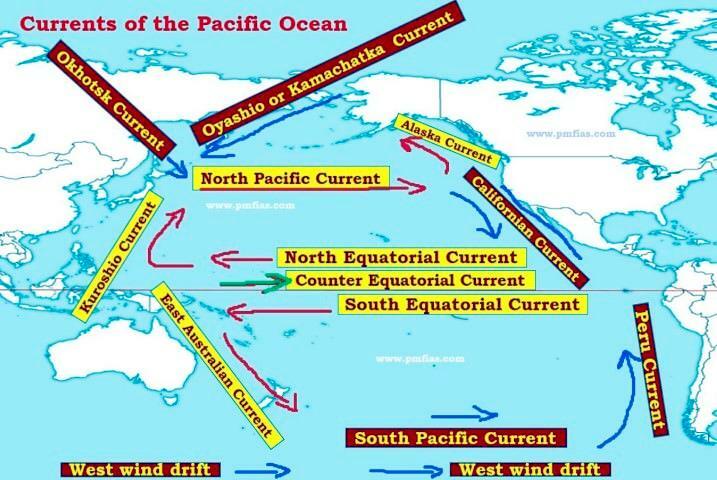 These currents include the Gulf Stream in the North Atlantic, the Kuroshio in the North Pacific and the Agulhas in the Indian Ocean. As these warm western boundary currents slow and spread out, they turn east to form the most pole-ward currents of their associated gyre. In the north, they also act as the southern boundary of the sub-polar gyres, permitting the exchange of water between the subtropics and the Arctic. 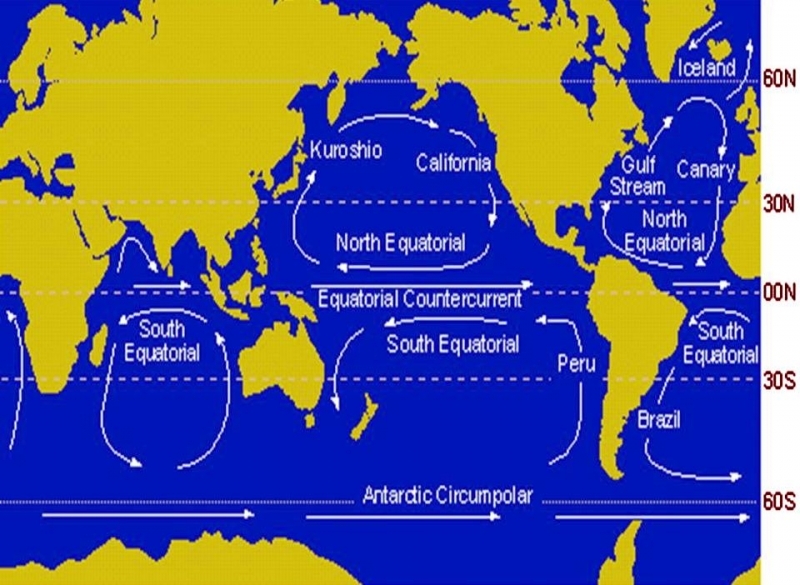 In the south, the Antarctic Circumpolar Current connects to the southern subtropical gyres through these currents in a similar way. 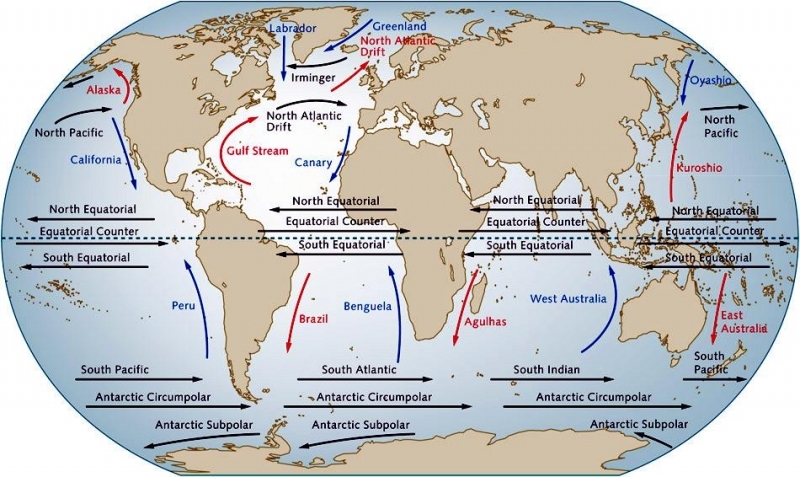 The colder eastern boundary currents, which flow from the high latitudes toward the equator, are the slowest and most diffuse currents around the gyre. As they reach the equator, they turn west and pick up speed driven by the trade winds and heat from the tropical sun. Eddies are relatively small, contained pockets of moving water that break off from the main body of a current and travel independently of their parent. They can form in almost any part of a current, but are especially pronounced in western boundary currents. Once the fast-moving currents leave the confining influence of land, they become unstable and like a fire hose with no one holding it, begin to meander and bend. If a current becomes so tightly bent that it doubles back on itself, that section of flow may “pinch off” and separate from the main body of the current like an oxbow bend in a river. These swirling features can take the shape of warm-core (masses of warm water turning in colder ocean waters) or cold-core (masses of cold water in warm) eddies and can travel for months across hundreds or even thousands of miles of open ocean. 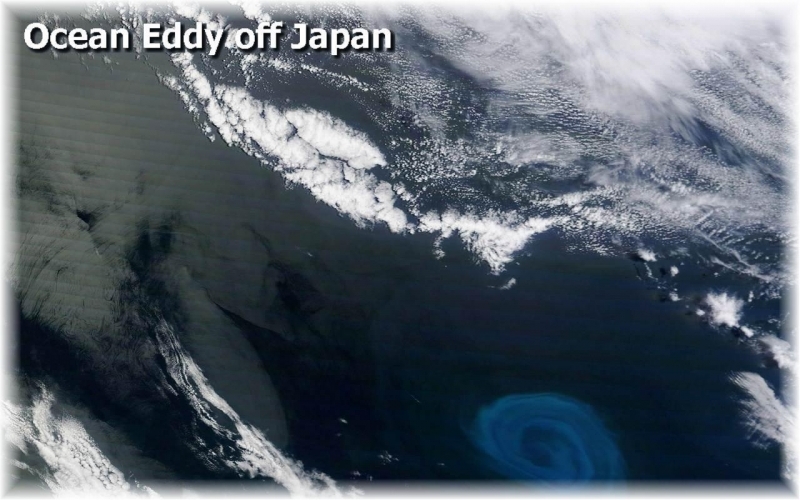 Eddies also form in the mid-ocean, far from boundary currents. Their genesis results from an instability process in which large-scale mean flows are constantly breaking down into smaller scale features. 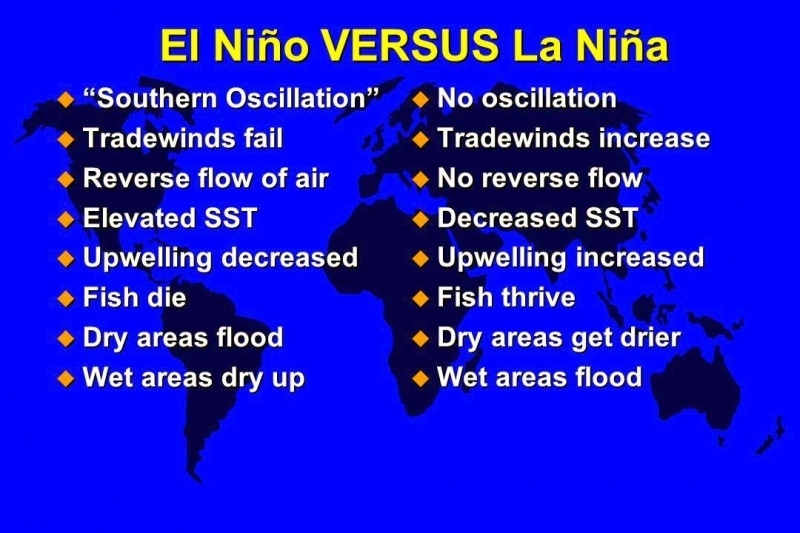 The atmosphere behaves in much the same way: energy is put into the system on the planetary scale (it is warm at the equator and cold at the poles), which creates large-scale flow that spawns the storms and fronts we know as weather. In that sense, ocean eddies are analogous to atmospheric weather although their spatial scales are smaller and temporal scales longer because of differences between air and water. 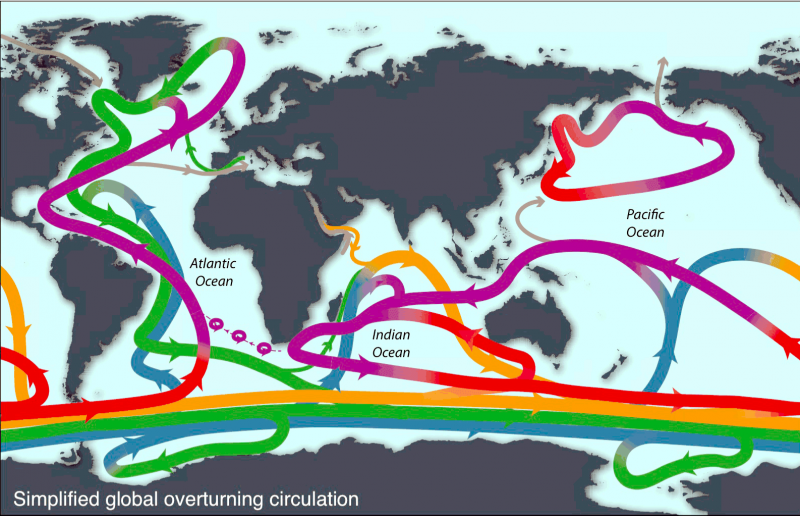 Currents, gyres and eddies transport water & heat long distances and help promote large-scale mixing of the ocean. In the process they also transport nutrients, salt and other chemicals and help regulate the planet’s weather, climate and marine ecosystems. Strong currents and eddies also influence shipping routes and have been known to damage oil platforms. Powerful offshore currents and weaker coastal currents shape the land by contributing to beach erosion and the movement of barrier islands. 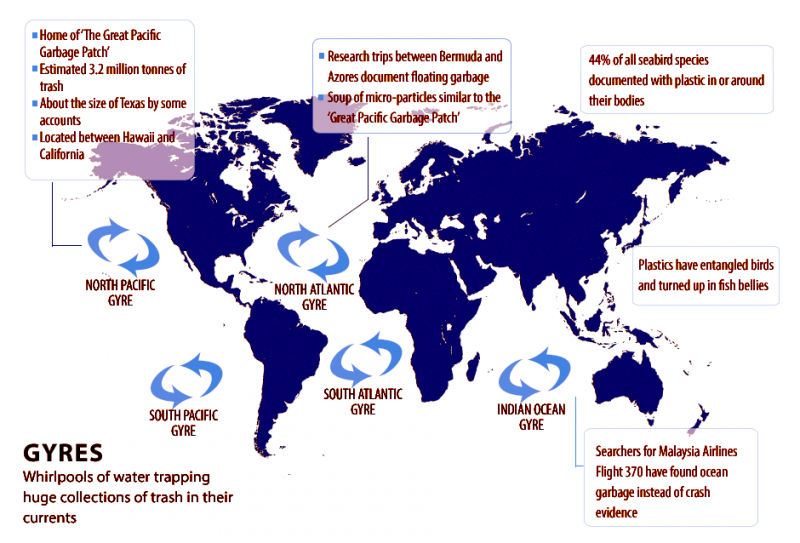 Knowledge of how and where these phenomena occur as well as how they might be changing is sought by fishing fleets to locate schools of fish, by the Coast Guard to respond to search-and-rescue emergencies or oil spills and by policy makers to help formulate marine conservation plans. 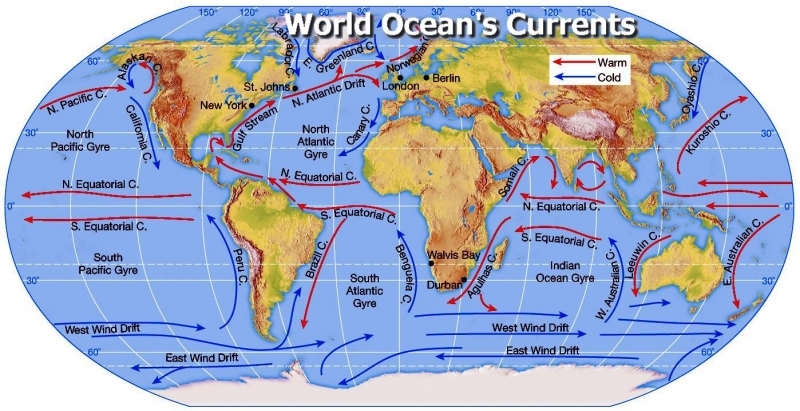 One of the most important roles of ocean currents is in governing Earth’s weather and climate. 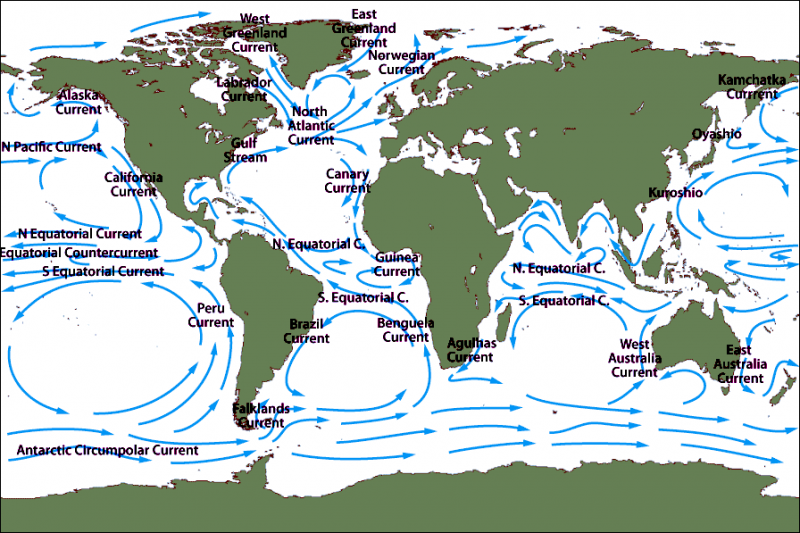 Western boundary currents such as the Gulf Stream carry large amounts of heat from tropical waters to the north. 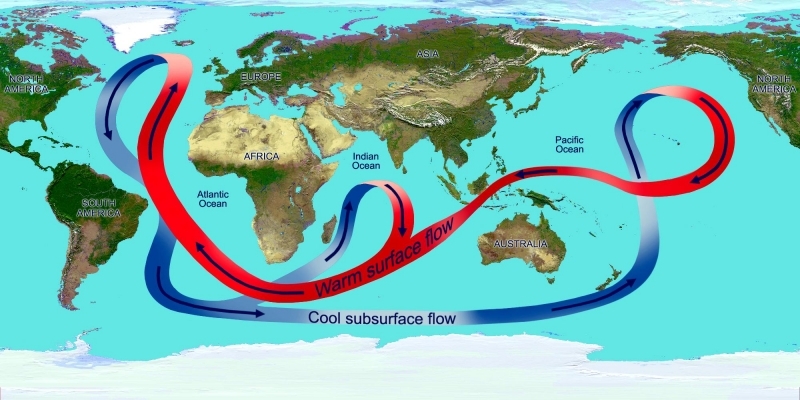 This flow is part of the thermohaline circulation or ocean conveyor and helps distributes heat around the planet. This in turn governs wind patterns, air temperature and precipitation both locally and globally. 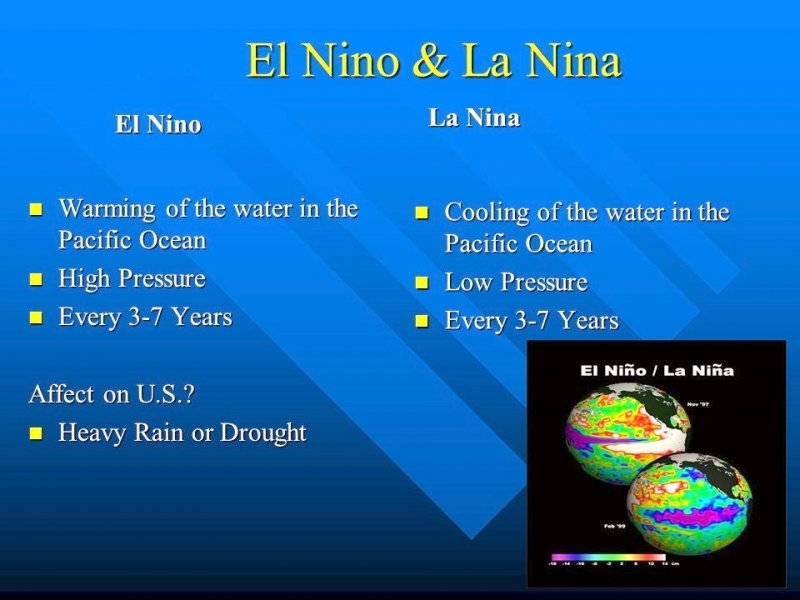 Recent studies have shown that western boundary currents have shifted position slightly over the course decades, leading to changes in wind, temperature and precipitation patterns around the globe more commonly associated with El Niño and the other ocean oscillations. 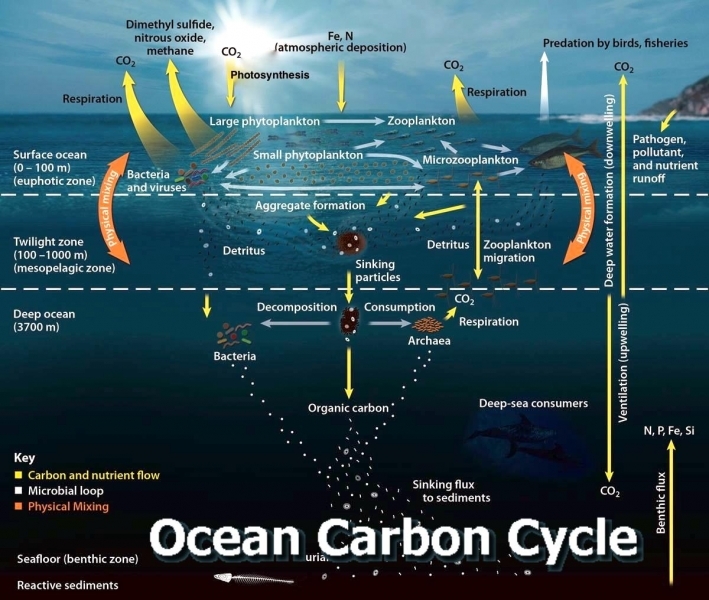 One important question marine biologists & oceanographers are trying to answer is how small changes in the placement, temperature, speed and volume of currents might result in large or abrupt changes in Earth’s long-term climate. Identifying the natural and human factors that could change or disrupt the natural function of ocean currents is also an important part of understanding and predicting future climate changes. 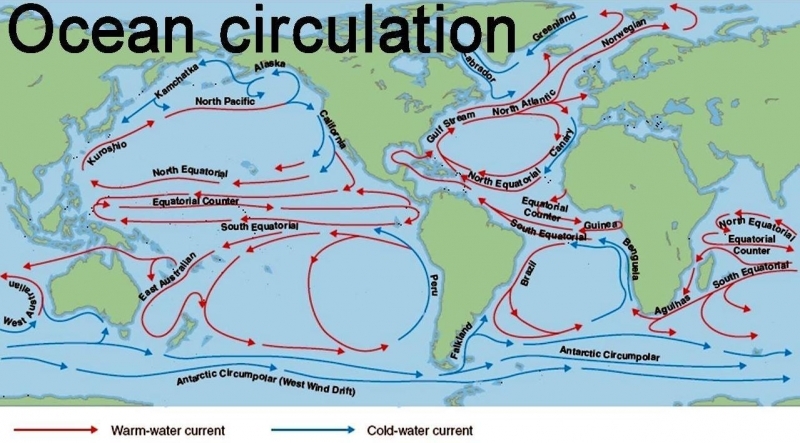 Currents are critical to marinelife. Cold water contains large amounts of the nutrients that feed the base of the food chain. Those places where cold water mixes with warm, nutrient-poor water often contain high levels of biomass (living things) as well as a high degree of biodiversity (different species). Many warm-water animals that favor these boundary zones such as tuna, swordfish and squid are particularly important commercial resources, so understanding how and where ocean waters mix gives fishing fleets the ability to locate schools and minimize their time at sea. It also gives marine biologists information they need to help manage fisheries or protect endangered species. 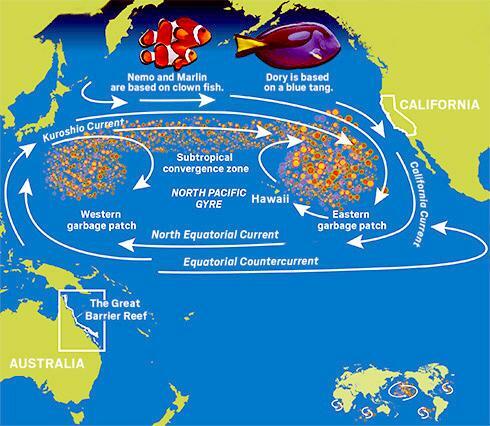 A gyre’s currents also cause floating debris to slowly drift towards the center of the ocean, forming large patches of floating trash. This can be a hazard to marine life and as the chemicals in the plastics enter the food chain, of concern to humans as well. Currents shape the coasts in ways that are likely to be obvious to someone standing on shore. 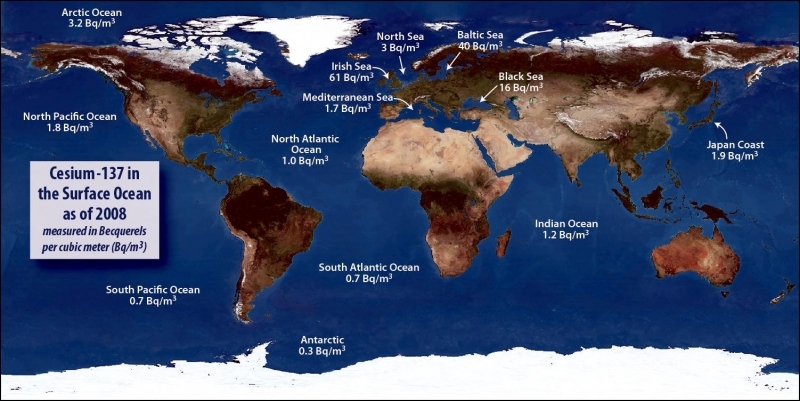 They also physically shape the ocean basins in ways that are much more subtle, but no less important to oceanographers. Much as a slow-moving river will have a silty bottom and a fast-moving stream will have a rocky bed, ocean currents transport and deposit material on the ocean bottom in identifiable ways. By understanding the relationship between the size, composition and distribution of particles found on the bottom with the motion of the water column above, scientists who study long cores of ocean sediment can tell how currents have changed or moved over time. 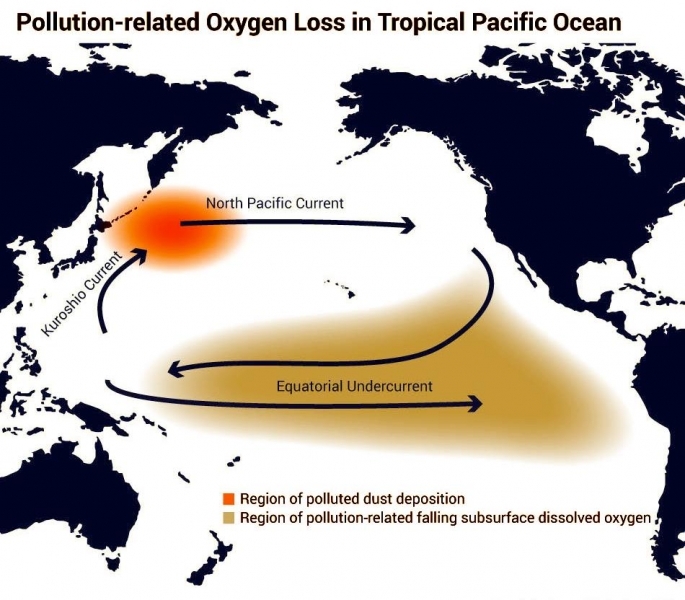 This in turn helps explain how factors such as fresh water from melting ice or changes in global wind patterns might lead to large-scale changes in ocean circulation or climate in the future.